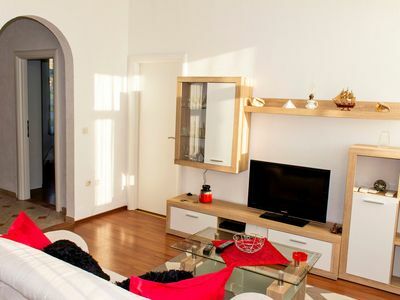 Two bedroom apartment located in Kastav, can accommodate 6 people total and consits of two bedrooms, living room,2 spacious terraces, kitchen with dinning room and bathroom. 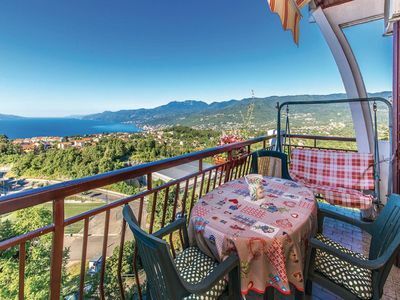 Guest can enjoy the view from two terraces over Kvarner and Učka. 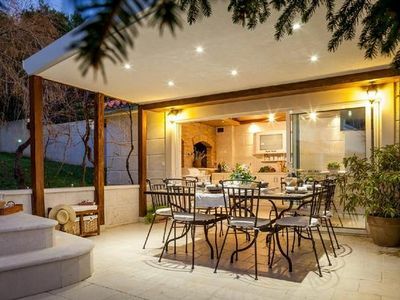 The kitchen is equipped with stove, oven, fridge, toaster and a range of other supplies. Two bedrooms have a 4 + 2 beds and rooms share one bathroom. All rooms are equipped with air conditioning, TVs, and each room has a small refrigerator, which can serve as a mini bar. Guests can use barbecue and at this place guests can rent bikes, price included.